Proven methods that go further than surveys and enable deeper insights. For 15 years eye square has been one of the leading innovators in the implicit research market. We have developed our own methods that give our clients a thorough qualitative and quantitative understanding of what users experience and what drives them. This approach is called Experience Research. Our goal is the development of powerful alternatives to overcome the limitations of conventional methods. With neuro-economically based surveys and analysis methods we offer our clients an integrated measurement of brand effects. Effectiveness and efficiency are checked in an objective and analytical way and are backed up by scientific cooperation and publications. 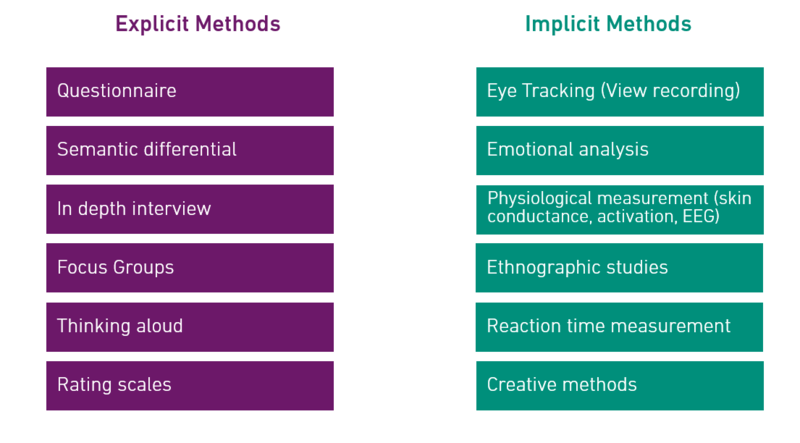 Implicit methods explain the contact with customers that is normally hidden. 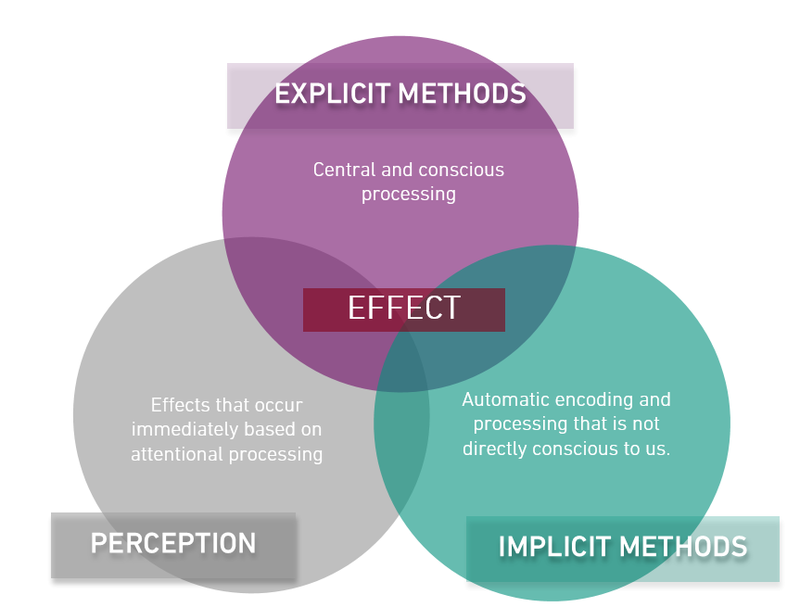 Implicit dimensions explain unconscious and difficult to verbalize elements, while explicit components give information about motivations, values and rational explanations. Only when both sets of parameters are taken into account can consumer behavior be explained comprehensively.